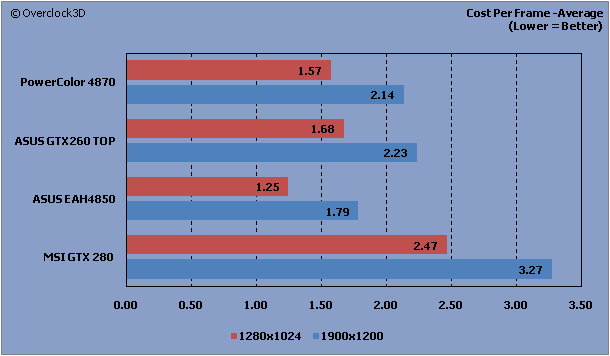 Benchmarking the HD4870 against the likes of NVIDIA's GTX260 and GTX280 gave a mixed bag of results with the HD4870 taking the lead (sometimes above the GTX280) in a select few games, while locking horns with the GTX260 in others. Even in Crysis at high resolutions, the HD4870 managed to turn out some very good number, falling only 7fps behind the green teams current flagship card. In summary, the PowerColor HD4870 manages to combine excellent performance along with a price that is fairly easy to swallow. Even with the beastly HD4870x2 right around the corner, this card is set to be a market favourite for a long time to come. - Overclocking is effortless and could easily be taken higher with the right tools. - Those seeking free games, keychains and other "freebies" should look elsewhere. 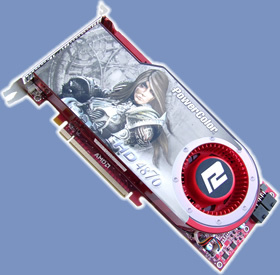 Thanks to PowerColor for providing the HD4870 for review. Discuss this review in our forums.